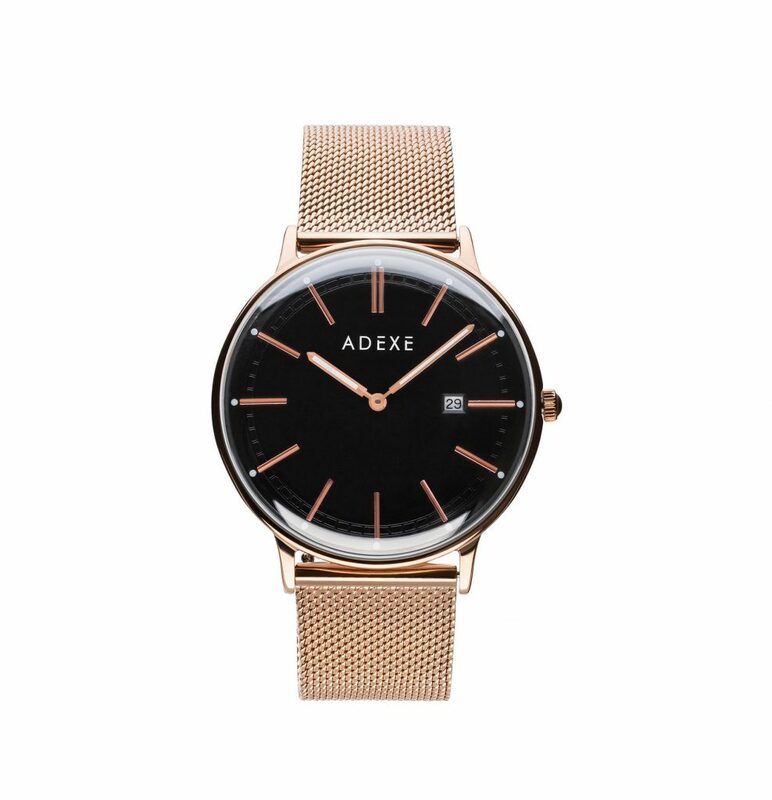 Rose Gold Watch from Adexe – an elegant accessory to wear again and again. This model is the Sistine Petite in Rose Gold. The watch face is also in rose gold which looks quite stunning. All the metal straps are adjustable, they include a key in the box to help you adjust the clasp so one size fits all. 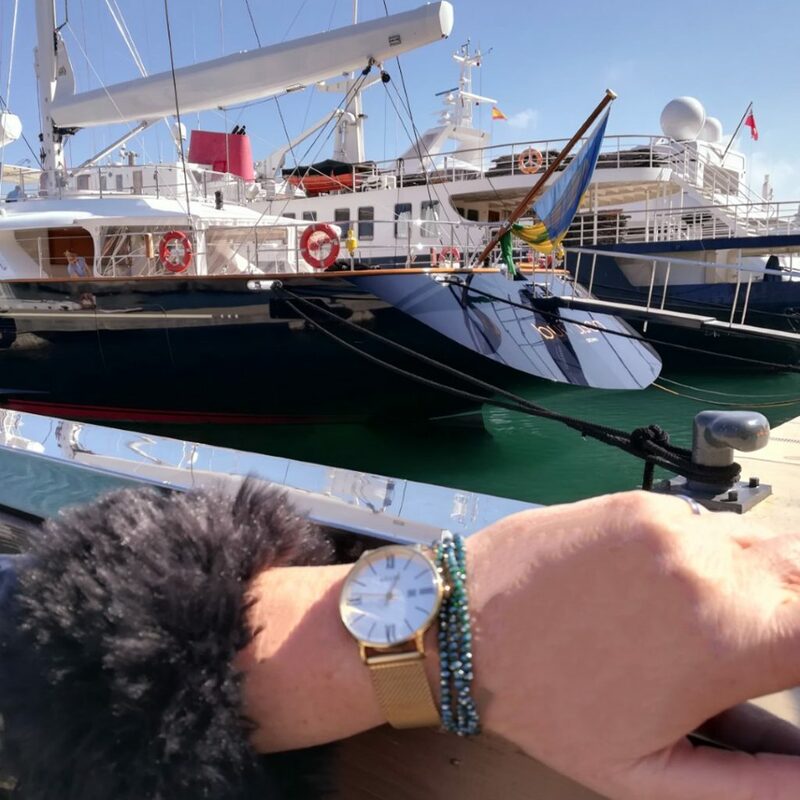 Sarah chose the petite size as she has quite small wrists and this one sits proudly on her wrist. 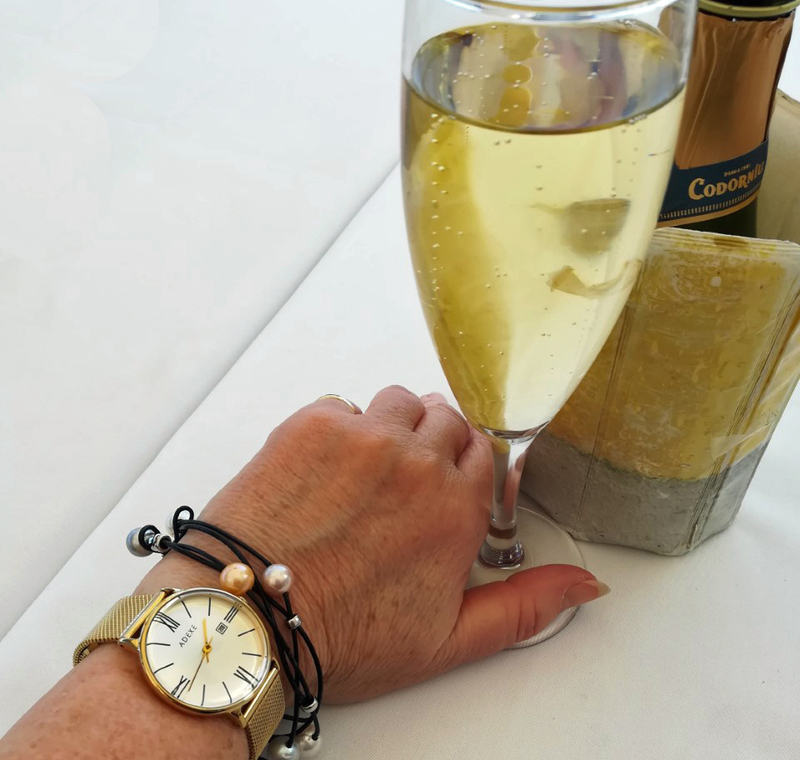 What an elegant everyday watch. It looks good with a glass of fizz too! But, you have the chance to win the Meek Grande Rose Gold – just like the one in the picture below. It’s worth over £100 and is the sort of watch we’d all love to have in our wardrobe. The watch is totally adjustable to your wrist and feels incredibly well made. The high quality is obvious and the clock face is clear and easy to read at a glance. All you need to do in order to enter is to tell me, in the comments below, why you need this watch – then follow the Rafflecopter through for extra entries! because I no longer own a watch.